There have been many questions raised about the safety of amalgams, the silver-colored filling that contains mercury as well as other metals. The mercury, which is a toxic substance, is where the concern lies. Some people believe that amalgams may be responsible for such diseases as autism, multiple sclerosis and Alzheimer’s disease. 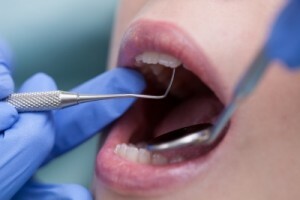 The American Dental Association (ADA), the Food and Drug Administration (FDA), and other public health agencies have looked into the mercury concern and found that there is no link between mercury-based fillings and disease. The causes of the aforementioned diseases remain unknown. In 2002, the FDA reconfirmed the safety of amalgams due to the fact that when the mercury is mixed with other metals, such as copper, tin, zinc and silver they form a stable alloy. There has also been a concern about the mercury vapor from the fillings but there is no evidence that this small amount has any effects on health. It is important to note that this alloy has been used to treat tooth decay for over 100 years. If you have any further questions regarding amalgams feel free to contact our Sidney, OH dental office. There is a slight possibility of a allergic reaction, but there have been fewer then 100 cases reported, according to the ADA. In these cases, mercury or one of the metals used in an amalgam restoration is thought to trigger the allergic response. The symptoms of a amalgam allergy are generally skin rashes and itching. People who have amalgam allergies may have a medical or family history of allergies to metals. Once an allergy is confirmed, another restorative material can be used.